One favorite question that hiring managers like to ask potential employers is, “Are you a self-starter?” Chances are good you have been asked that yourself at some point in the past. You probably answered “yes,” but are you a self-starter? In the privacy of your own mind, you know the answer. And the truth is, not a lot of people are self-starters. It is a pretty rare , and it is not something you are born with. Most people have to work hard to develop it, which is ironic, because that also requires that you be a self-starter. But how can you become a self-starter if you have to be one in order to find the motivation to learn in the first place? It can feel like a catch-22, and a lot of people get trapped in that cycle indefinitely. You have to be one in order to succeed at trading, because nobody else is going to give you the resources, determination, time, or commitment required for success. What character traits you have already? Just do one thing. Do one thing every day. Everyone has heard the aphorism, “Even a journey of a thousand miles begins with a single step.” It may sound trite, but it is true. And not only that, but after that first step is a second, and a third, and so on. At no point do you get to simply leap through to the conclusion. You do not get to teleport to your destination. You simply have to keep walking, step by step by step. That is how it is for everyone who was born with a journey ahead of them. Those steps are small and very many, but finite. That may sound discouraging, but it shouldn’t. Because of that, those steps are achievable. You cannot hope to take a step that will take you a thousand miles—that is impossible. But each step that takes you in the right direction brings you closer to your goal. And closer is all it takes. Because one day you will eventually take that last step, and you will be at your destination. This is not just about being patient; it is about giving yourself the chance to do something real each day instead of just daydreaming about what you could one day have or be. What are some examples of simple, small, finite steps you could take? When you are feeling overwhelmed and do not know where to begin, the trick is often just to get started doing something. Here are 10 great ideas, all of them easy, all of them accessible, no matter where you are at on your own binary options online journey. 1. Read an article or a book. When you have no idea what to do, more information never hurts! Even veteran traders are constantly brushing up on their knowledge and adding new trading tools to their toolboxes. If you are feeling flustered or stuck, just head to your library or your online reader store, and pick up a physical book or an e-book on trading. That or browse online. Check out on trading sites, read a blog entry by another trader, or read a forum thread. Soak up some knowledge! 2. Watch a tutorial or presentation. There are many different types of learning, and if you are visually or kinesthetically oriented, you may pick up more by watching a tutorial or demonstration. Brokers usually offer some webinar opportunities or video tutorials, and other trading sites archive them as well. Do not be afraid to wander beyond the boundaries of binary options online sites; you will find helpful resources on Forex sites as well which are perfectly applicable to your own trading. 3. Greet a fellow trader. If you are feeling stuck, sometimes nothing helps you get unstuck faster than a conversation with another trader. This might be a trader in a similar circumstance or someone who is at a point way beyond you in your journey. Either way, you can find your circumstances changing quickly when you invite someone else in on your journey. Isolation almost always leads to feeling trapped. Few things can change your life faster than . 4. Test a trading system. Not sure what to do today to improve your trading? Why not try out a new trading system? Get out your charting software, that looks interesting, and then go back in time and start looking over the charts. The more often you do things like this, the better overall grasp you will get not only for different trading techniques, but also which ones appeal to you and which ones do not. You will find out what you excel at, and what you should avoid. You may even eventually come up with a trading system from scratch based on what you discover. 5. Write in your trading journal. Don’t have a yet? You should. It is a powerful tool for tracking your progress—or at times, your stuckness. Writing in your trading journal may not feel like much when you are doing it, but looking back a few weeks from now, you may very well be able to figure out what has been holding you back. 6. Run a new test of your current favorite system. You do not always need to be trying something new in order to be productive. In fact, sometimes your highest productivity comes from sticking to one thing. Run another backtest of your favorite system today, the one that has been giving you the best results. Get new data to work with. Take notes along the way. Analyze them as you go, and again, later. 7. Study one technique or indicator in detail. Another thing you can do while studying binary options online trading is to break it down. Instead of focusing on a trading system, why not focus for a day on one facet of a system? Learn everything you can about divergence today, or moving averages, or a certain price pattern. Go through historical charts. Do not backtest, just look for the of a particular type of indicator or formation, and circle them. Share the results online and get feedback. 8. Watch the charts in real-time. Even if you have time for nothing else today, sit down and watch the market charts in real-time for a few minutes. In fact, if you do this for even fifteen minutes a day, you will find yourself learning. 9. Analyze problems in your trading. When is the last time you sat down to do a self-review? This is something you can complete in a half an hour to an hour if you sit down with your test results, trade results, and journal in front of you. Conduct an honest self-evaluation, and make a list of and things you are already doing great at. Keep doing the things you are doing well, and write down a list of steps you can take to improve the rest. A lot of those steps will probably be other items on this list. Sometimes one of the biggest steps you can take to improve your trading or your life is actually something you stop doing instead of something you start doing. The steps in this list are simple, straightforward, and none of them require any intensive preparation. Each is something you can sit down and do in a quick sitting, even on a busy day, even on a day you have to work at the office or take care of other responsibilities. .
Nobody is perfect, and all of us go through hard times when it comes to building up momentum and developing initiative and self-discipline. Oftentimes it is because we try to tackle too many things at once. We stumble because we are trying to walk a thousand miles with a single step. Forgive yourself for your shortcomings, but remember that the other side of that coin is commitment. If you are willing to forgive yourself for your mistakes, it means you are committed to change. 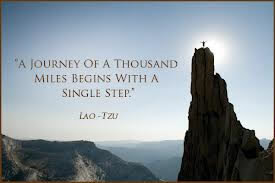 Take the journey step by step, and your trading will get better and better. Узнайте про популярный портал про направление http://kamod.net.ua.